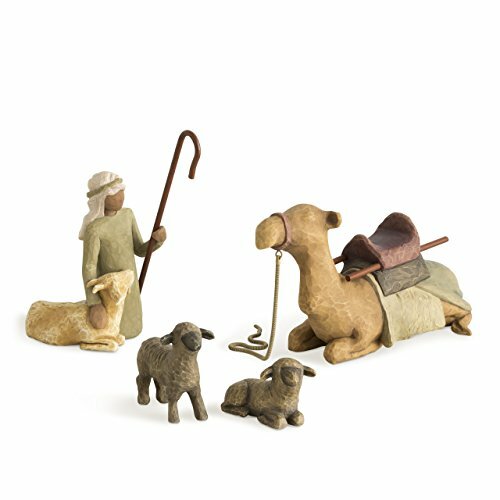 Shepherd and Stable Animals are part of the Nativity collection. As enduring as the story it portrays, the Willow Tree Nativity is as loved today as when it was originally introduced in 2000. Its simplicity and form has made it a timeless classic. As a Christmas gift, wedding gift or self-purchase, the Willow Tree Nativity continues on as a family tradition. The Willow Tree Nativity collection is a favorite holiday tradition...the simplicity and elegant form of the figures and animls have made it a timeless classic. As enduring as the story it portrays, the Willow Tree Nativity is as loved today as when it was originally introduced in 2000. Artist Susan Lordi hand carves the original of each Willow Tree piece from her studio in Kansas City, MO. These pieces are cast from Susan's original carvings and painted by hand.